Who would the Beatles be without Ringo, John, Paul AND George? How successful would Clemson have been this year without Dabo Swinney AND Trevor Lawrence? (As a Gamecock, that sentence was painful for me to write.) My point: every successful group consists of diverse members with individual skills, quirks and characteristics. Without each of them, you wouldn’t have a complete team. 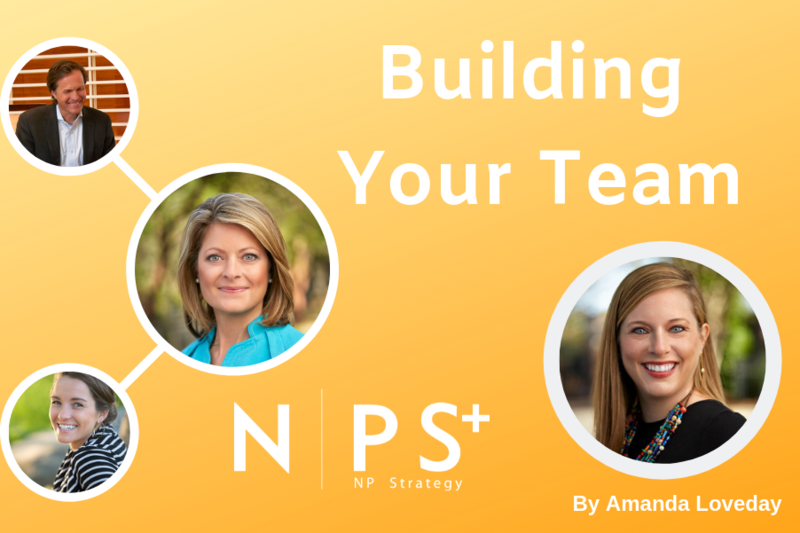 Joining NP Strategy more than three years ago was an incredibly exciting challenge; a new adventure that gave me the opportunity to help build a team from the ground up. Hiring team members is similar to assembling a puzzle – the goal being to find the pieces that fit together perfectly. That selection process is the key to success in any organization; you have to find your Ringo, John, Paul AND George to be successful and provide well-balanced services to your clients. For example, in our organization we have the creative one, the smart one, the leader, the calm one, the go-getter, the one with great hair, and many more. We try to balance variety with compatibility. It’s tough to do correctly – you need a great leader with a sound judge of character, who is willing to make hard decisions, exemplify high performance standards and mentor along the way. You are in charge of assembling (and developing!) a group of people to spend hours, days and years together. Ensure everyone is committed to the same ideals and core values of your organization. If you are a group that crawls through the trenches together, every team member needs to be ready to get their hands dirty. Roles and positions should be precise and communicated well. Each team member should understand their responsibilities and know how to meet them. Communicate expectations, and empower and expect your team members to exceed them. Setting goals allows you to measure success. We all should learn something new every day, but supporting lifelong learning is a benefit that not all workplaces provide. Encourage team members to take a trade course, learn a new skill or join a leadership organization. Any of these opportunities will keep your team members interested in learning more about what they do and keep them working hard for you and your organization. Consistently provide positive feedback and offer incentives for success. This can be through professional development, gifts or bonuses. We all thrive on being appreciated, so team members should understand their worth. Be creative with how you celebrate each other, as it’s scalable to any budget. I’ve enjoyed helping build our team, but even greater joy comes from watching how our combined, varied skillsets work together to meet a new challenge each day. We’re not the Beatles, but together, I think we are a pretty good group. Amanda Loveday, recently named Associate Director of NP Strategy, has a passion for meeting new people and building relationships. It is what has made her a powerhouse in politics and communications. A decade of experience taught her the importance of getting to know the community and how to interact with people, especially those with different personalities and backgrounds. Get in touch with Amanda at (803) 540-2190 or amanda@npstrat.com.